A place where all members of the community feel empowered and encouraged. 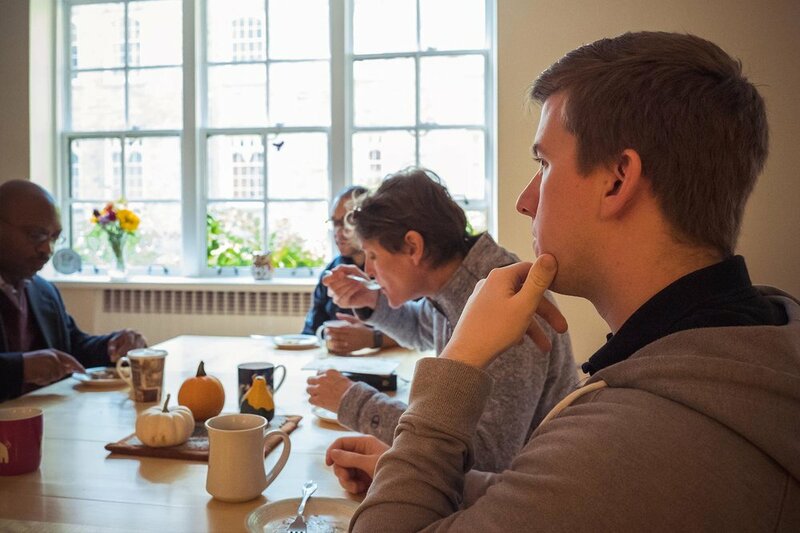 At The General Theological Seminary you will find a community that values the presence and contributions of all of God's people. In the changing world for which General Seminary prepares church leaders, our environments are becoming more culturally diverse and the global community more interconnected. The variety of programs found here brings together those who are studying theology for the first time and those pursuing advanced study. 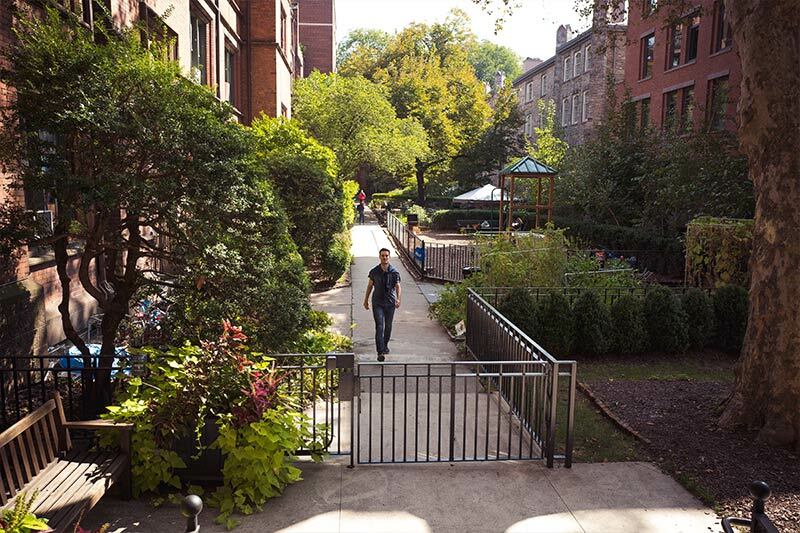 "I’ve learned that church is something that continues as you go out onto the street..."
Our campus — often referred to as the Close — is known for its beautiful, garden-like serenity. The Close is surrounded by a row of neo-Gothic buildings and tree-shaded lawns uncharacteristic of its urban setting. 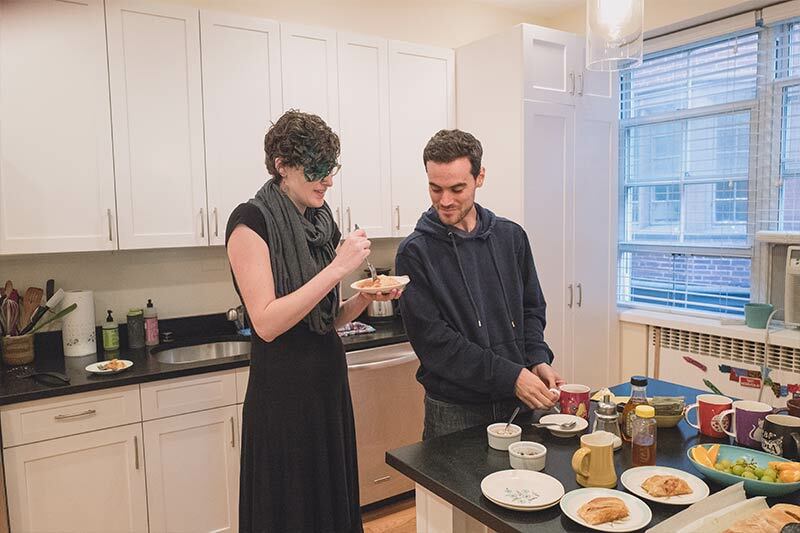 Everything from basic dormitory accommodations to 3 bedroom apartments are available within the Close. And, to be sure no member of the family is left out, pets are welcome in all GTS housing units. 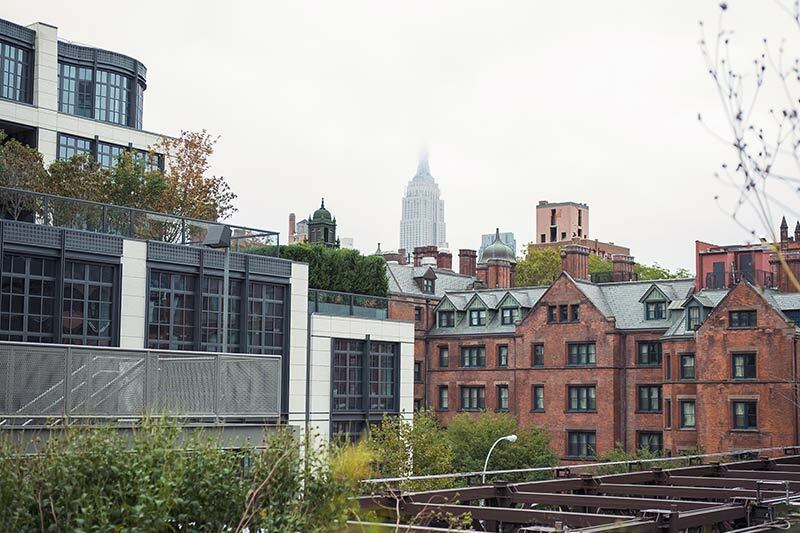 Located in the heart of New York City, within the thriving neighborhood of Chelsea, the General Theological Seminary offers a unique opportunity to live and study in one of the most dynamic urban centers on earth. The dynamic relationship between worship and academics is a central hallmark of life at the GTS and its concept of formation for ministry. Each day, the Daily Offices are prayed and the Holy Eucharist is celebrated. Because maintaining physical, mental and spiritual health while in seminary is an important discipline to keep in the ongoing formation of Christian leaders, GTS makes every effort to aid students in their wellness practices. The Community Council serves all of the GTS student community. Its ministry is to organize various events and to provide a voice for the community in addressing topics of general interest to the administration. GTS operates this on-site infant care and day care center. It's located adjacent to Hoffman Hall and across from the enclosed playground in the West Quadrangle and is a resource to both seminarians and the community. A listing of important dates to remember for the Academic Year.